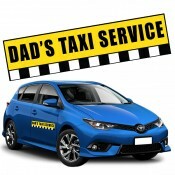 Custom magnetic car signs are promotional magnets used over cars and are built for outdoor advertising. Bearing 30 MIL (0.036” thickness) these outdoor magnets are UV safe and perfected to work under harsh weather conditions. You can save on shipping, art setup, and online design proof because their pricing is included. Save on effort because we offer every possible assistance from conception of a thought to deployment. Order these promotional outdoor magnets at its lowest wholesale price. Finding a business is easy but letting the customer find you is difficult and challenging. Probably you might have tried everything in meeting both these targets with limited or no success. In this era of magnetic advertising, it is perfect to expect high from your investments. Today, vehicle magnets are getting popular with businessmen because most of them own vehicles which can easily carry around these car signs. 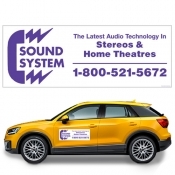 If you are one with a vehicle and wish to make some sensible investment, feel free to indulge in these promotional outdoor magnetic car signs. Our selection features all those magnetic signs needed to make your business successful! Have you ever thought why those large billboards and flyers all printed in white and black during the 80’s and late 90’s? It is because marketers were finicky about colors and they feared it might pass as an extravagance and burn their pockets. We have proven it wrong because here we encourage marketers to get creative with their campaigns. 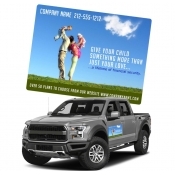 You can get these customized car magnets imprinted with your business information in the colors of your choice because we offer free full color printing. 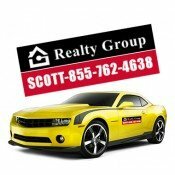 Our custom outdoor car magnets are created by professionals and offer great visibility to your business information. You can easily experience your brand to grow rapidly because hundreds of people would read your advertisements on any given day. 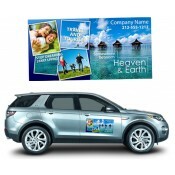 Additionally, our car magnets offer a large space for printing information that sells! People would easily look up to these colorful outdoor magnets at parking lots, traffic blocks or in crowded places. If you don’t wish to pursue advertising, take down this promotional magnet and store it in some place. Or if you are bored of using the same vehicle and same magnetic sign, take it down and use it on another vehicle. By using any of our custom automotive magnets, you are saving on advertising space and buying long term impact with minimum efforts. To know more about customized magnetic car signs, their pricing, imprint, utilization and other aspects, feel free to contact us at info@CMagnets.com or 855-762-4638 (Toll Free).